Band to Join, Vocalist, Vocalist - Bass, Vocalist - Tenor, Rhythm Guitar, Lead Guitar, Acoustic Guitar, Bass Guitar, Drums, Keyboard, Piano, Harmonica, Other, Banjo, Vocalist - Alto, Steel guitar, Upright bass, Electronic Music, Harp. 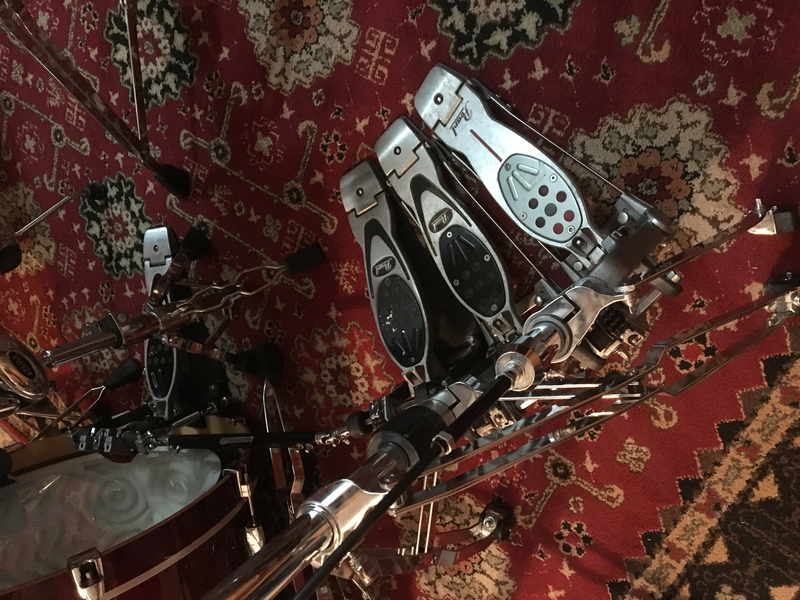 Me: 16 year seasoned pro drums/percussion/backup vocals.. Acoustic and Electronic kits. Stated learning rudiments at 8 years old, got my first kit at 10, joined my first band at 13. I've studied everything that challenged or pushed me out of my comfort zone and taken lessons off and on from particularly badass gurus. That being said I love metal as much as the next kat but that speedy ridiculous 580bpm sh*t while the front man growls and barks into a mic is probably my least favorite style next to the sound of Marge Simpsons voice I mean. As for my band experience.. it's easier to just say I've never played with a Tejano project. I auditioned for "Los Calaveras" in 1998.. I thought it went pretty well, but I couldn't understand a word they said and never got a call back. Success: I've worked with more bands than I care to recall. Toured Texas, SoCal, Florida, and points unknown. 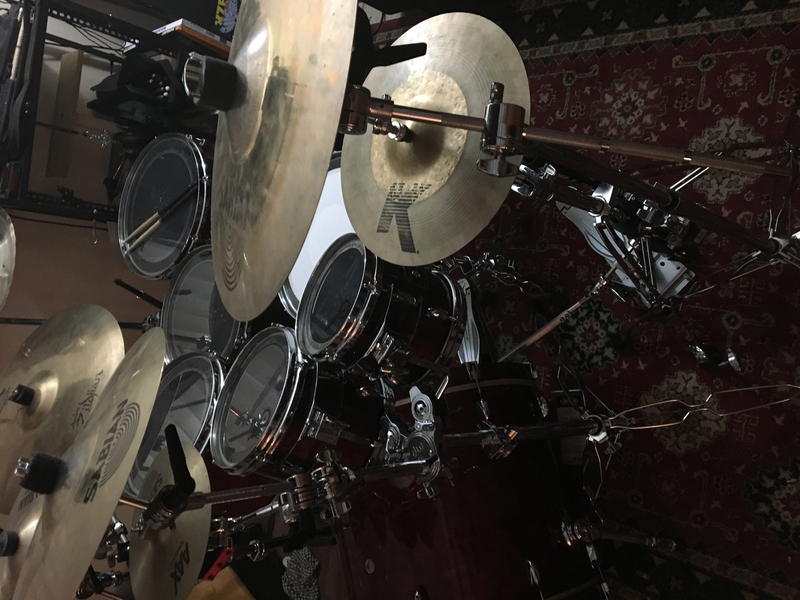 Worked as a studio drummer and loved it, that couple of years was hands down more educational than the collective decade of lessons I've taken. Artists: Steve Smith, Carter Beauford, John Bonham, Neal Peart, Dennis Chambers, Dave Grohl, Les Baldwin, Taylor Hawkins..the list goes on. Music: ZZ Top, Zeppelin, Journey, Rush, Santana, Kansas, Boston, Chili Peppers, Sublime, Wizo, MM-Bostones, Slayer, Sound Garden, Nirvana, Pearl Jam, Foo Fighters, and so on again. Acoustic drums Gretsch, DW, Tama, Pearl, Slingerland, and Ludwig. Maple, Mahogany, birch. 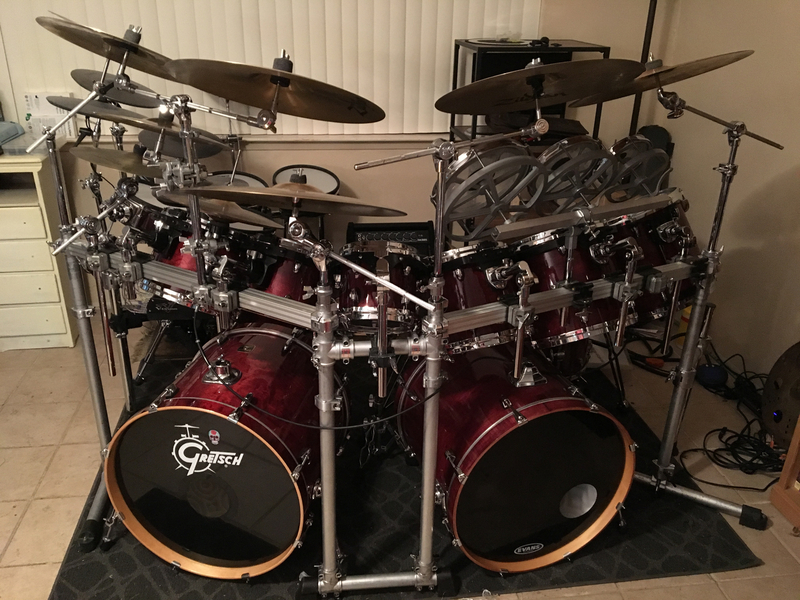 Hardware: DW, Tama, Pearl, Axis. 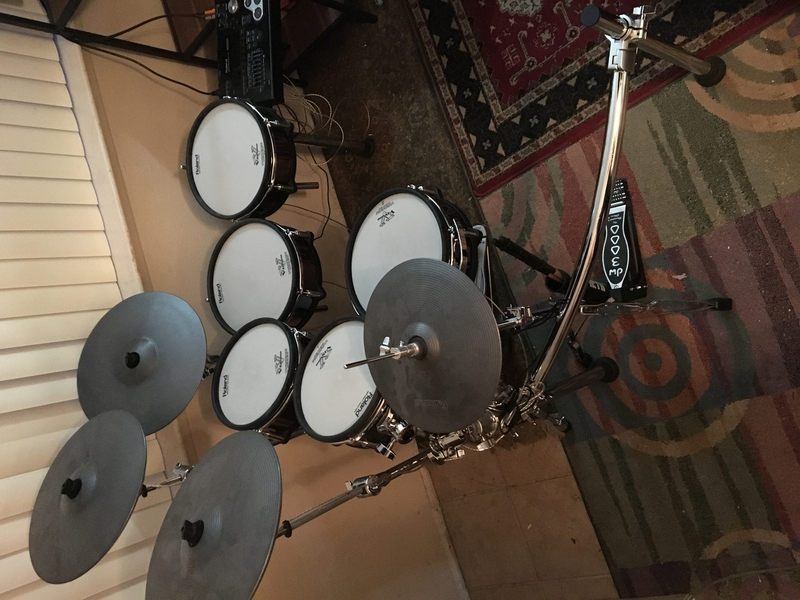 Electronic drums Roland TD30KV w/add-on pads.